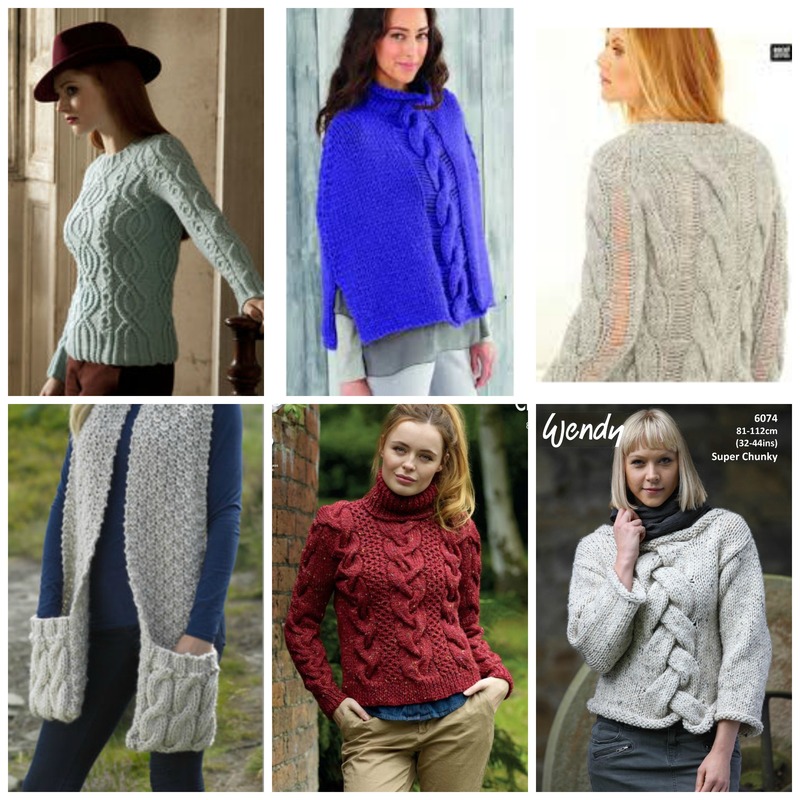 Now the weather is cooling off, we are all thinking about cosy winter knits and if you want to be on trend this season you can have a lot of fun with your hand knits because along with bright colours and mismatched fair isle, big and bold cables are certainly the order of the day. 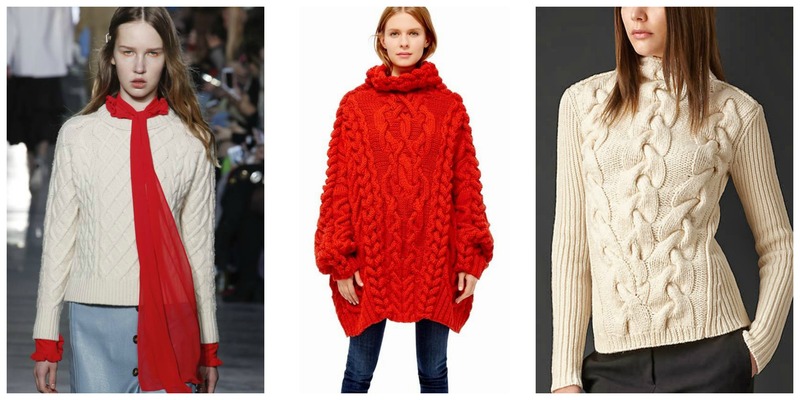 Classic cables run all over this sweater from Rejina Pyo: Spencer Vladimir’s Vlad sweater definitely embraces the over sized trend; this Burberry sweater make great use of big cables. As you can see above cables can be used all over classic sweaters and oversized jumpers or a few bold feature cables can make a statement. We have picked out a few patterns to get you started. If you are a little nervous of cable patterns, take a little time to read the instructions carefully and practice with some scrap yarn. The instructions will ask you to slip a few stitches on to a cable needle and hold them to the front or back of the work. You will then knit or purl one or more stitches from your main needle and then the ones on your cable needle. There is no need to twist stitches – all you are doing is knitting your stitches in a different order to how they were originally on your needle.